Hello Kitty just turned 40, and she’s celebrating the big milestone by hitting up the West Coast. But she’s not leaving Japan for the sunny beaches of California as you might expect. Instead, our favorite cartoon cat is getting her very own exhibit at the EMP Museum in Seattle, WA. Starting on November 14, the Hello! Exploring the Supercute World Of Hello Kitty retrospective will be on display, honoring the 40th anniversary of Sanrio‘s bow-wearing and pink-loving pop culture phenomenon—even though we don’t think she looks like she’s aged a day. The exhibition, which comes straight from the Japanese American National Museum in Los Angeles, will look back at Hello Kitty’s evolution over time. And get ready for some major flashback moments. 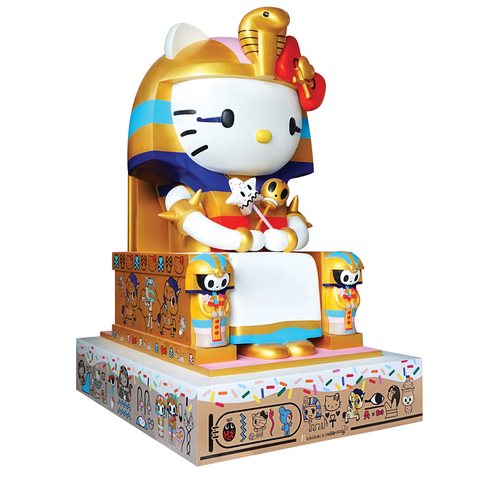 Among the artwork and pieces featured will be over 600 Hello Kitty products that have been released since the character was just a wee little kitten. Some of the vintage treasures like stationery and the first telephone to feature Hello Kitty go back as far as the 1970s. But the exhibit also features more modern pieces, such as the iconic plush toy-covered Hello Kitty dress worn by Lady Gaga in 2009 (shown above) and a couture bustier that Katy Perry wore to the Brit Awards that same year. You can catch the fabulous feline’s exhibit in Seattle through May 2016. And the Sanrio star’s East Coast fans may get to join in on the fun soon, too. The brand is hoping to bring the exhibit to additional museums throughout the country, although specific plans have yet to be announced. We’ll be keeping our fingers crossed. Paolo Ballesteros, a Filipino host and actor, has suddenly been making headlines internationally. Surprisingly, it’s not his acting and hosting skills that’s given him viral attention. It’s actually his unbelievable makeup skills. Recently, his Instagram account has jumped up to nearly 500,000 followers and understandably so. In addition to photos of his adorable daughter Keira, his Instagram is filled with unbelievable makeup transformations. In fact, Ballesteros currently known as the man who can transform himself into any female celebrity using makeup. That’s right. Looks like Michelle Phan has some competition when it comes to being the ultimate makeup guru. With the help of skilled contouring and wigs, he has transformed into Drew Barrymore, Beyonce, Miley Cyrus, Katy Perry, Julia Roberts, and even Ariana Grande. Needless to say, he looks nothing like the girls he transformed into. Because of his interest in makeup, many who are unfamiliar with Ballesteros have questioned his sexuality. Apparently, he has never minded the question. After all, this isn’t the first time. He has portrayed many gay roles in the past causing fans to question his preferences. Ballesteros has confirmed that he is heterosexual and clearly, he has no problem going against the gender stereotype which says makeup only interests women. Check out the transformations below! See more here on Paolo’s Instagram account! In late November, Lady Gaga showed up at the Tokyo TV studio of the Music Station program in a tricked out, cutie-pie outfit featuring a big cartoonish wig, pink bow, and anime-inspired eyes painted on her eyelids. As part of a marketing blitz for her new album Artpop, the star also did a photo shoot to promote a Lady Gaga-inspired Hello Kitty doll with long blond hair and a seashell bra. Mother Monster meets Hello Kitty? In Japan, cuteness (kawaii) sells. 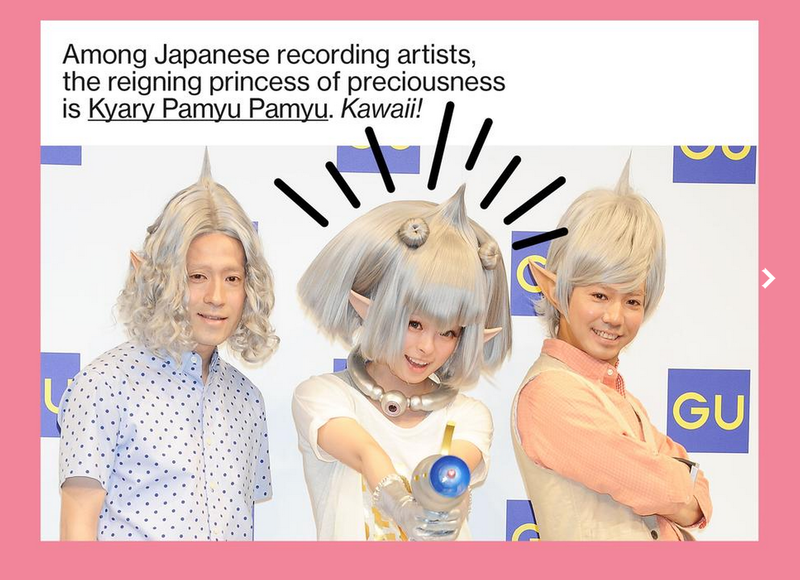 Recording acts as diverse as Lady Gaga, Avril Lavigne, Katy Perry, Nicki Minaj, Mariah Carey, and Lisa Loeb are unified in their belief that a little kitty glitter can go a long way in Japan’s $4.3 billion music market. Over the years, they’ve all professed their love for the moon-faced feline character in interviews, photo events, and, in Lavigne’s case, lyrics. 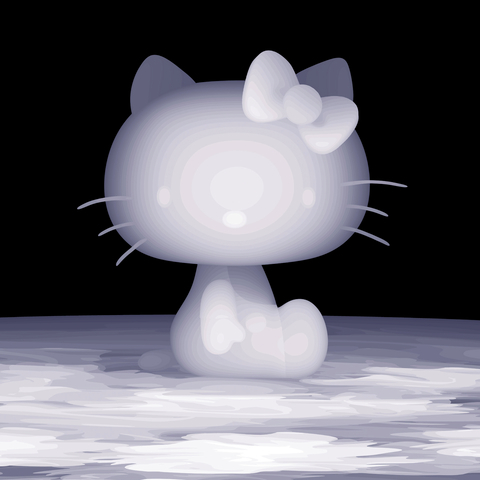 The Canadian singer-songwriter’s self-titled CD released in early November has a techno pop track titled Hello Kitty. For Kitty-chan’s corporate parent Sanrio, a character goods and licensing company, having global celebrities—none of whom are paid endorsers—bow before your core franchise is a godsend. Robust Hello Kitty sales and double-digit operating profit growth have helped Sanrio’s stock advance 70 percent this year and have made founder Shintaro Tsuji one of Japan’s richest executives, with a personal fortune of about $1 billion, according to wealth data compiled by Bloomberg. “It’s been very organic,” says Janet Hsu, president and chief operating officer of the company’s North American operations. 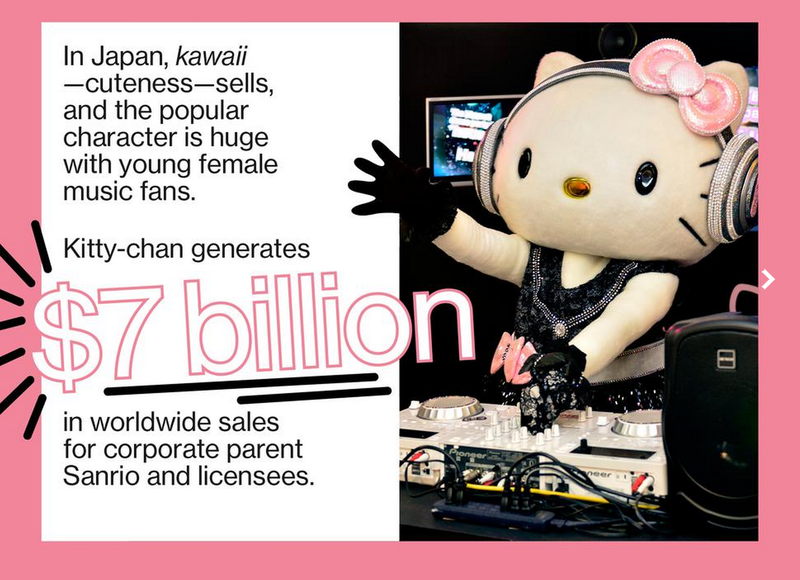 The pop music world’s adoration “drives the relevancy value of Hello Kitty; she’s always in the moment.” A Sanrio character called DJ Hello Kitty—a performer wearing a black costume with sequins—does promotions at night clubs around the world and recently co-starred in a music video with Japanese singer Ayumi Hamasaki. For foreign female recording artists, showing reverence toward the red-bow-tied feline is a shrewd business move. 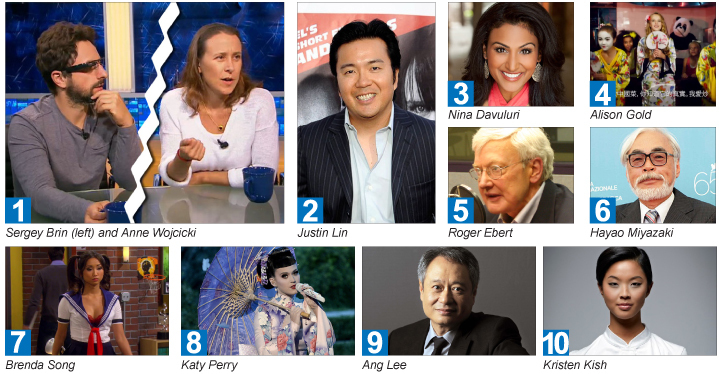 Although Japan has a population equal to only 40 percent of the U.S.’s, it’s the world’s No. 2 music market behind the States. Music lovers in Japan typically pay $30 for a newly released CD, compared with about $18 in the U.S., and illegal download sites such as Napster and Bit Torrent never gained traction in Japan because of its stringent antipiracy laws. In Japan, where cartoon characters pitch all manner of products and services, from air flights to medical equipment, there’s nothing strange about Kitty tie-ups with musical talent. Created in 1974, the mouthless one is an enduring pop character that appeals to multiple generations. “In this age of social media, what Hello Kitty promotes is a recommendation from a longtime friend, which is a very powerful sell,” says Alan Swarts, co-founder and chief executive officer of Breaker, a mobile entertainment company, and a former VJ and 17-year veteran of MTV Networks. It’s hard to quantify how much of an audience enhancer Hello Kitty has been for foreign talent. 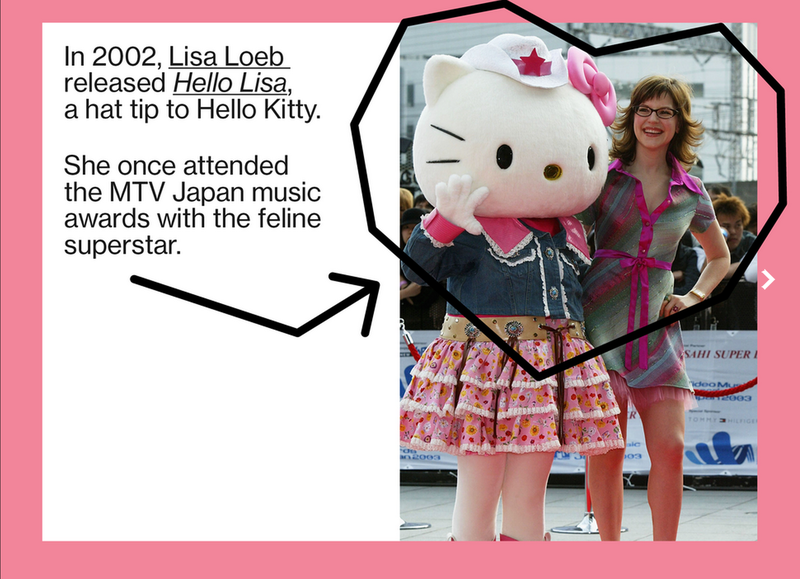 Loeb, who has done promotional events with Sanrio and once attended the MTV Japan music awards with Hello Kitty, believes the character “reinforced a lot of the audience I already had.” Perry, Lady Gaga, and Lavigne have gained popularity in Japan and done well on the charts this year, says Billboard Japan spokesman Hiroshi Yamaguchi, in part by channeling kawaii fashion when they visit. “Being pro-Japanese culture also helps,” he says. With 2014 underway, it’s the perfect time to take a moment and reflect on 2013’s biggest hits and misses in pop culture. It’s been an interesting year, which saw Asian Americans breaking ground in new ways in pop media, as well as some spectacularly offensive moments from celebrities and teenagers alike. Let’s look back! If you’re a reality show fanatic, then you may remember that chef Kristen Kish won this year’s season of the competitive cooking reality show “Top Chef.” Kish, who is a Korean American adoptee, was the first Asian American female winner on the show. Kish’s prize included $125,000, and she spent a portion of it on a trip to Korea to discover and connect with her homeland for the first time. Kish’s run on “Top Chef” took place in Seattle, which featured episodes in numerous well-known restaurants in the Emerald City, making her tenure on the show and subsequent win more memorable for local viewers (and this column’s readers). In addition to Lee’s Oscar award, “The Life of Pi” was nominated for a total of 11 awards, and took home more Academy Awards than any other film nominated for 2013. The film also starred Indian actors Suraj Sharma, Irrfan Khan, Tabu, and Adil Hussain. During this year’s American Music Awards, mega pop star Katy Perry performed her hit single “Unconditionally” live against a geisha-inspired backdrop, which included Perry and her backup dancers sporting kimonos, oil-paper umbrellas, and pale make-up. Perry’s use of Oriental imagery was annoying because it continued to perpetuate the stereotype that Asian women make for submissive, docile, and doting lovers. The worst part is that Perry doesn’t seem to understand what is offensive about her use of these images. She saw the performance as an homage to Japanese culture. How typical. Unfortunately, music award shows are hotbeds for offensive racial images and slurs. I don’t think this is a trend that will go away in 2014, but can we at least hope that some celebrities will have more awareness about these things? Several media outlets and blogs reported on the blatant, racist humor found in the FOX sitcom “Dads.” The freshman sitcom, which features Asian American actresses Brenda Song and Vanessa Lachey as leads, generated controversy when the show’s pilot showcased Song appearing in a skimpy “Sailor Moon” outfit as a joke. Although the controversy first came to light in September, the show survived its initial negative response, and has since been picked up for a full season. I’ve actually watched a few episodes of “Dads,” and I don’t find it funny or original at all. I’m surprised it has made it as far as it has. Still, 2014 has just begun — it’ll be interesting to see whether this show survives past its first season or not. Miyazaki cited his need to rest among primary reasons for his retirement, as well as a desire to pursue other projects outside of animation. Though his retirement is not yet official, Miyazaki’s latest film “The Wind Rises” will see a limited U.S. release in early 2014, so his work is not disappearing from us quite yet! The world bid adieu to famed film critic and journalist Roger Ebert in April 2013, who passed away after an 11-year battle with cancer. Ebert is revered in Asian American cinema circles for his public defense of the indie film “Better Luck Tomorrow” at the Sundance Film Festival in 2002. “Better Luck Tomorrow” was director Justin Lin’s debut film, and is considered a cult classic in independent Asian American film. Ebert’s public defense put the movie on the radar of major studios, and also widened the distribution of Asian American films to new audiences. Ebert was a true supporter and friend to Asian American filmmakers, actors, and audiences alike, as he understood the importance for multifaceted representations of minorities in American media. Roger Ebert, you will be dearly missed. One of the most popular YouTube videos in 2013 was the inane music video for “Chinese Food,” a pop song performed by unknown teenager Alison Gold. The video observes Gold craving and singing about Chinese food, which is illustrated through fellow teens dressed as geishas, cliché Oriental music, and an adult man in a panda suit. You know, just the usual hallmarks of Chinese cuisine and culture. Apparently, mimicking geishas was a trendy choice in offensive Oriental imagery this year. I don’t think anybody actually enjoyed this song, but it was one of those ridiculous car wrecks that nobody could avert their eyes from, giving the song its unpredicted popularity. The song even charted on the Billboard Hot 100, and spawned a prequel music video that explains the origins of Gold’s love for Chinese food. Don’t watch it. Seriously. America finally saw its first Asian American queen during the 2014 Miss America pageant when Indian American Nina Davuluri took home the title during this year’s competition. But despite the fact that Davuluri was born in America, detractors lambasted the pageant organization for awarding the crown to someone who allegedly wasn’t American, simply based on her race and skin color. Davuluri brushed the negative commentary aside, however, and refocused the conversation on her then-future plans for her reign. Haters aside, Davuluri’s crowning is monumental because it’s not every day you get to see an Asian woman take home the crown in a mainstream beauty pageant. No matter your stance on beauty pageants, I think we can agree that representation in all facets of mass media is important. This year saw both happy and sad news from the “Fast and the Furious” movie franchise. The sixth installment — titled “Fast & Furious 6” — is the most popular installment to date, and opened this past May amid much fan anticipation. “Fast & Furious 6” was also the third highest-grossing film worldwide in 2013. Director Justin Lin was one of the franchise’s most prolific directors, having directed four installments of the films, including the recent sixth one. In 2013, Lin announced that he would no longer direct the films due to the demanding and overlapping production schedules of the sixth and seventh films. Director James Wan took over for the seventh film. More recently, lead actor Paul Walker’s unexpected and tragic death sent the franchise’s future into question. The seventh installment, which had been on a holiday break at the time of Walker’s death, was delayed for a few weeks to allow filmmakers to rework the script. The seventh film is currently slated for release in spring 2015. There was a point in 2013 where you couldn’t consume news online without catching a glimpse of the unfolding scandal out of Silicon Valley. In the midst of Google co-founder Sergey Brin’s divorce from former wife Anne Wojcicki, a rumor erupted that the power couple split when Brin began a new relationship with Google Glass marketing manager Amanda Rosenberg. Rosenberg is of Asian descent. The scandal made such waves that celebrity magazine “People” even made it one of its cover stories, and published a photo of an Asian girl, who was mistakenly identified as Rosenberg. Their gaffe caused uproar in the media, which was made especially ironic given that magazine editors and interns could have, well, Googled and fact checked the photo to verify that it was actually one of Rosenberg. Still, all the commotion from this high-profile love triangle makes this my top pop culture story for 2013. The tech industry never fails to surprise! 1. Katy Perry: The time she assumed dressing up Geisha was a good idea. At this year’s American Music Awards, Katy Perry performed in a Geisha fan-fare only this isn’t a reason to reward her for “cultural appreciation”. It was a blatant display of cultural appropriation on a mainstream platform that largely leaves out Asians as a whole. Asian background dancers are seen to cake on more make-up to look more Asians. Media reviews of the performance questioned the outraged that poured from Perry’s performance – comparing it to the highly controversial Miley Cyrus twerking at the VMAs. This is not appropriation olympics. Pop stars need to retrain their urge to use people of color and our culture from their onstage antics. Oct. 31st is usually a gut-wrenching time of the year for people of color. Imagine all that’s sacred and custom to your culture can be made into a costume or accessory priced at $29.99. This year, in particular, the offenders stripped down human dignity to WTF! levels. Do not ever assume it is okay. >>>Three white guys dressed up as Asiana Airlines flight attendants killed in the July crash in SFO. Adding insult to fatal injuries, the falsely reported racist names are visibly seen in this distasteful photo-op. This is among the worst of the worst. Google “racist costumes” and there is no short supply. I know what some are thinking, “who doesn’t love asian girls with a z”. But really, writing a song titled “Asian Girlz” and featuring obscene lyrics like “I love your creamy yellow thighs / Ooh your slanted eyes” are never ever acceptable. Seriously. And featuring a willing Asian girl that fits into a white man’s stereotype of exotic asian women does make it less racist. This song dropped on all Asian women like a ton of bricks in August. The band behind this racist song denied any wrong doing and the girl in the music video gave an empty apology. Now, who is going to write a real song about loving and respecting asian girls with a z? In September, Nina Davuluri won Miss America – the first winner of Indian heritage. Her triumph set ablaze a revelation that Asian woman too can be crowned on national television (the Runner-Up Crystal Lee is also Asian). Except, not all Americans understood this graciously. Covert and overt racists poured out of the woodwork on twitter to shame the new Miss America and mistook her as “Arab” which then triggered more xenophobia. One tweet read: “If you’re #Miss America you should have to be American”. 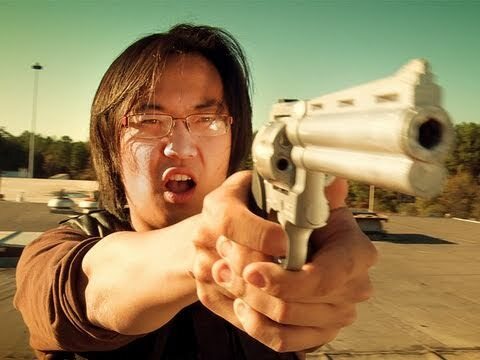 Another read “Asian or Indian are you kiddin this is america omg”.